Choosing the right point-of-sale (POS) system for your business can be daunting. Owners want a POS system that meets their needs with flexibility for the future. We offer products based on efficiency, speed and affordability. Regardless of the industry. We will help you find the best device and system that will be most cost-effective for your business. For example, with our hoteliers, there are many different interfaces we integrate with to take payments from different franchises. Choice & independent brand hoteliers use Shift4 to process payment, while Motel 6 now uses Freedompay Gateway to take payment. For all Best Western hotels, we use Visual Matrix, and for all Wyndham hotels, we use Fusebox (EMV Ready). Restaurants are using Zeamster. At FD Merchant, we do the research and match the best platform for you. Here are some of the popular devices our clients rely on. Want to know more? Call us at: 888-498-1456 or email us for more information. 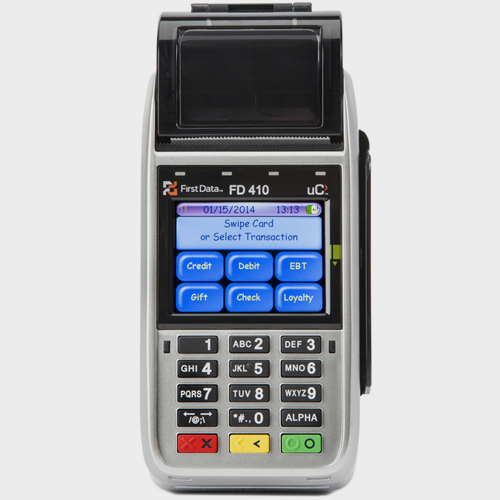 The FD410 is a wireless, hand-held POS system with a full range of payment options. The FD130 Terminal allows you to accept payments quickly and gets you ready for the latest in EMV chip-enabled payment devices. The FD130 Terminal from First Data is an affordable solution that combines performance, reliability and ease of use in compact, feature-rich devices. 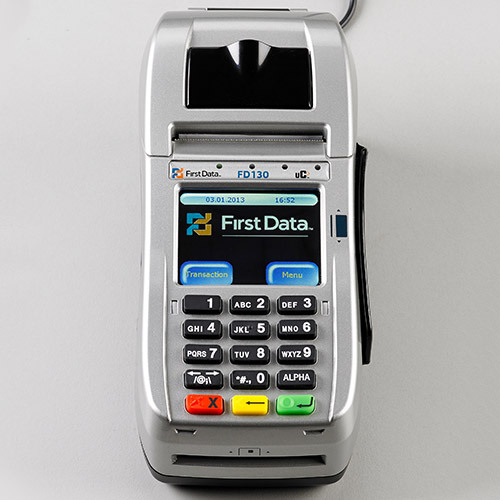 The best part is the FD130 Terminal is ready for EMV technology, the new industry standard in security. The FD130 uses cutting-edge technology to enable you to accept transactions when a customer presents you with an EMV card; a card embedded with a special chip that adds an important layer of security. 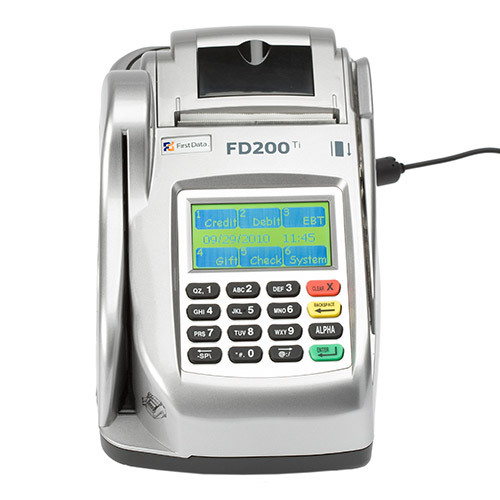 In addition to the added security, the FD130 Terminal gives you full range of solutions for payment processing, including credit, debit, gift cards, personal paper checks and EBT.